We had here recently shots of Moscow city at night by Letchik Leha, the guy who works as a pilot on a big civil airplane and is fond of making photos right from the plane’s cockpit. Today some other shots from him. There is Eiffel tower in Paris, probably the most famous tower in the world. But for most of people living in Soviet Union there was another tower that they knew even better than Eiffel’s one. 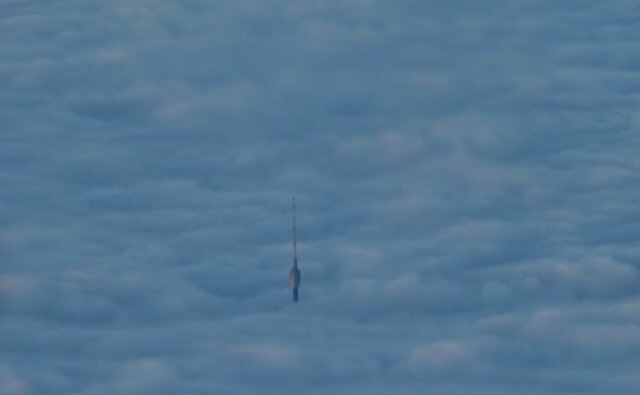 It was a Moscow city Ostankino Tower. Standing 1772 feet (540 metres) tall, it was the tallest free-standing structure in the whole world until in 2003 there was build another one, taller, in Canada. Still it is the tallest alone standing structure in Europe and Asia. Burn, baby, burn! 🙂 No seriously, great photos. This thing is 540.1 meters high and makes MSU look small! Why can’t Russian’s build anything higher? They don’t have the engineers for it. And the Russian worker is a bad worker. Cool photos… but the Canadian CN Tower was built in 1976, not 2003. Ostankino was tallest from 1967 to 1976. 2003? The CN Tower in Toronto was finished in 1975. The CN Tower, in Toronto (Canada) became taller than Ostankino Tower when it was opened in 1976…it has been the tallest freestanding structure in the world for over 31 years…not 2003 as was noted. Actually, the CN Tower in Toronto, Canada was completed on April 2, 1975 (not 2003!). At 553.3 meters (1815 ft) tall, it is still the tallest free-standing structure on earth. 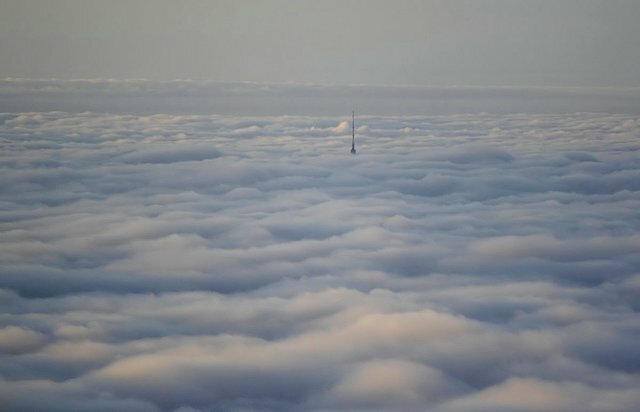 The CN tower was actually built in 1976, not 2003. The CN Tower, in Canada, which is taller, was built in 1976, not 2003. Just a correction. Canada has had the tallest free-standing tower, the CN Tower, since 1976, not 2003. It is 553.33m tall. Standing 1772 feet (540 metres) tall, it was the tallest free-standing structure in the whole world until in 2003 there was build another one, taller, in Canada. Actually, Canada’s CN Tower has been the tallest free-standing structure since ’78. Ostankino Tower is 540m tall and was built in 1967. The CN Tower, in Toronto, Canada, is 553m tall and was built in 1976, not 2003. 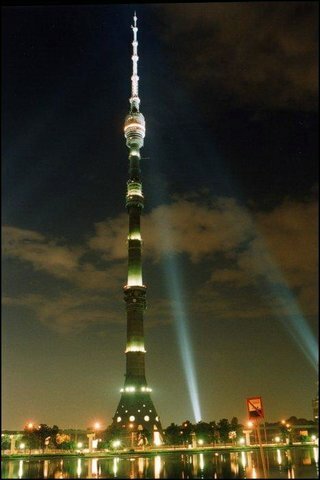 Ostankino Tower is still the 2nd tallest in the world, and the tallest in the eastern hemisphere. Toronto’s CN Tower was finished in 1975, not 2003. Toronto’s CN Tower ( 558 meters ) was completed in 1978 … close, you were only off by 25 years. The CN tower was built in 1976, 9 years after the ostankino tower was completed, not 2003. I believe the 2003 claim is due to the poorly worded wikipedia article. Well the pictures are nice but the story about the being the tallest until 2003 isn’t. The tower of which he speaks in Canada is the CN Tower in Toronto, which stands at 1,815 ft or 553M. It was completed, however, on April 2, 1975, not in 2003. The CN Tower in Toronto Ontario Canada has been the tallest since 1975. In soviet Russia, tower builds you! LOL @ the 15 or so peoples that posted a “1976 not 2003” … not even able to look at the other comments before posting their comment… LOL again ! 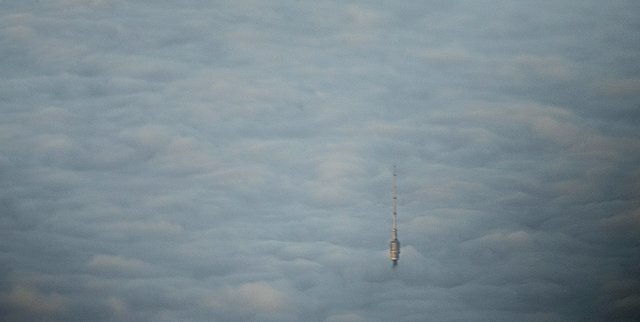 There’s also some cool pics of the Toronto CN Tower (built in 1976) fogged up on BoingBoing. PLD: Dude, you’re obviously dumb (I never had a doubt about it) if you’ve taken my comment seriously. Very sad for you indeed. So much for being from a pathetic troll country I guess. The later pictures of it in the sky look like something out of star wars. Quite amazing. Reminds me of when I used to fly turboprop commmuter airplanes into LGA and JFK in the ’80s and the WTC needle would penetrate the cloud tops. Canadian engineers visited Ostankino for construction ideas. The Tower was the first of its kind and revolutionary in design as it had a very thin shaft and foundations only couple of meter thick. CN Tower will be topped out by Ostankino some time in the future since it only 20m (’round there, anyway) higher, so a higher antenna would top the Tower out. What is the smallest building in the world? Have anyone mentioned yet that CN Tower was completed in 1975? If not then here it goes: it was completed in 1975. And by the way the CN Tower was built in 1975, not 2003. In addition to that, being the 70th poster here, I feel a strong urge to mention that CN Tower was built in 1975. Los rusos seran muy comunistas pero hicieron una torre impresionante. it’s either real, or really good photoshop! To be more precise, the tallest structure in the world was polish Warszawski Maszt Telewizyjny (Warsaw TV Pole), built in 1974. It was 646 metres high and it has collapsed during reparation in 1991. Today, the tallest structure of this type is american KTHI-TV-Mast. It is 629 metres high. Bahahaha, I love how many comments there are on when the CN tower was constructed and surpassed the Ostankino Tower, haha. Seriously though, when Japan build their X-Seed 4000, nobody will even bother trying…. except maybe the Americans, nothing can stump their arrogance. It’ll be fun to see what’s left forty years from now, after they’ve bombed everyone.